Madhya Pradesh Chief Minister Kamal Nath on Monday said there was no case or chargesheet filed against him in connection with the violence on Sikhs that broke out in 1984, which broke out after the assassination of Prime Minister Indira Gandhi. He questioned the “politics” behind raising of the issue now. Congress leader Ashok Gehlot took oath as the chief minister of Rajasthan on Monday morning, while Kamal Nath was sworn in in Madhya Pradesh in the afternoon. Bhupesh Baghel will take oath in Chhattisgarh in the evening. Madhya Pradesh Chief Minister Kamal Nath on Monday defended himself after he was asked about his alleged role in the attacks on Sikhs in 1984, which broke out after the assassination of Prime Minister Indira Gandhi. “I took oath in 1991 and several times after that, no one said anything,” Nath said. Bharatiya Janata Party Member of Parliament Anurag Thakur on Monday moved a breach of privilege motion against Congress President Rahul Gandhi for “misleading the House” about the Rafale deal. Thakur demanded that Gandhi apologise for the “falsehoods” in his speech in the Lok Sabha on July 20 during the no-confidence motion against the government. Senior Congress leader Bhupesh Baghel was sworn in as the chief minister of Chhattisgargh on Monday. The ceremony began at the Balbir Singh Juneja Indoor Stadium in Raipur at 6 pm. Congress President Rahul Gandhi, Baghel’s predecessor Raman Singh, former Prime Minister Manmohan Singh and Congress leaders Jyotiraditya Scindia and Digvijaya Singh attended the ceremony. One person was killed after a major fire broke out at a government hospital in Marol in Mumbai’s Andheri East area at 4.03 pm on Monday evening, reports said. At least 47 people have been rescued. The fire department said that seven people were rescued from the second floor and eight to 10 people were rescued from the staircase of the ESIC Kamgar Hospital. Pakistan on Tuesday released Mumbai resident Hamid Nehal Ansari, who was jailed for three years in 2015 for illegally entering the country in 2012. Ansari had entered the country to meet a Pashtun woman he had befriended online. 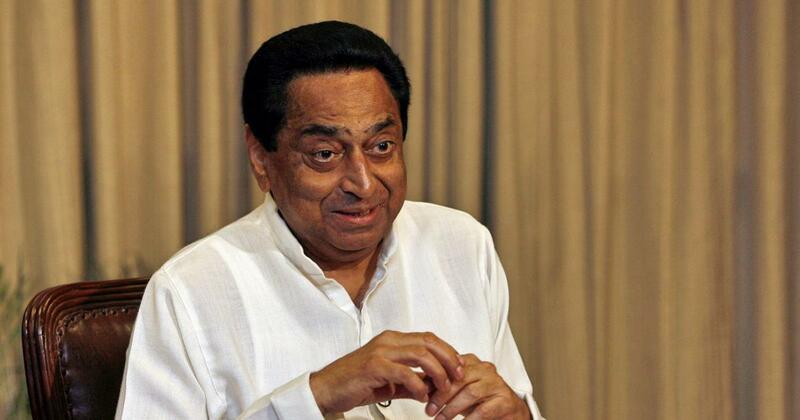 Hours after Senior Congress leader Kamal Nath was sworn in as the chief minister of Madhya Pradesh on Monday, he signed the documents related to the farm loan waiver that his party had promised voters. Farmers loans amounting up to Rs 2 lakh will be waived off, reports said. The chief information commissioner ordered the disclosure of information on the government’s scrapping of Rs 500 and Rs 1,000 notes and its subsequent replacement with new currency notes in the denominations of Rs 500 and Rs 2,000. India has declared a financial aid of $1.4 billion (approximately Rs 10,000 crore) to the Maldives. Prime Minister Narendra Modi announced the package on Monday during a joint press conference with Maldives President Ibrahim Mohamed Solih in New Delhi. Punjab Chief Minister Amarinder Singh on Monday welcomed the Delhi High Court’s judgement convicting Congress leader Sajjan Kumar in a case connected with the 1984 anti-Sikh riots. Singh termed the judgement as “a case of justice finally delivered to the victims of one of the worst instances of communal violence in independent India”. The Opposition Congress in Goa and former Jammu and Kashmir Chief Minister Omar Abdullah have criticised the Bharatiya Janata Party after pictures of ailing Manohar Parrikar were released on Sunday. The pictures showed Parrikar wearing a nasal tube and inspecting an under-construction bridge on the Mandovi river in Panaji. He also spoke to engineers at the site. Punjab Chief Minister Amarinder Singh on Monday welcomed the Delhi High Court’s judgement convicting Congress leader Sajjan Kumar in a case connected with the 1984 anti-Sikh riots, ANI reported. Senior Congress leader and nine-time Lok Sabha member Kamal Nath was sworn-in as the chief minister of Madhya Pradesh on Monday afternoon. The ceremony took place at the Lal Parade Ground in Bhopal around 2.30 pm. Nath succeeds Shivraj Singh Chouhan of the Bharatiya Janata Party, which had been in power for 15 years. Union Minister of Defence Nirmala Sitharaman on Monday called the Congress’ demand for an inquiry into the Rafale deal by a Joint Parliamentary Committee “political grandstanding”. “A politically divided JPC is looking into a matter already looked into by the SC [Supreme Court],” Sitharaman said. Traders and the micro, small and medium enterprises sector lost 35 lakh jobs in the last four-and-a-half years, a survey by the All India Manufacturers’ Organisation has said. The survey named demonetisation and the implementation of the Goods and Services Tax among the reasons for the job losses. The Jammu and Kashmir government on Monday imposed stringent restrictions in Srinagar to prevent a march called by separatist groups to protest against the civilian killings in Pulwama. Roads leading to the Badami Bagh area, where the Chinar Corps Army headquarters is located, were sealed. Several political leaders on Monday said the Delhi High Court’s conviction of Congress leader Sajjan Kumar in a case related to the 1984 anti-Sikh riots, though delayed, is proof of justice. As many as 2,433 people had died in Delhi alone following the assassination of former Prime Minister Indira Gandhi by her Sikh bodyguards on October 31, 1984. The Kerala Police on Monday arrested activist Rahul Easwar from Palakkad, two days after a local court revoked the bail granted to him in connection with the Sabarimala temple protests. The court had revoked the bail after he did not show up at Pathanamthitta police station as per his bail conditions. Three United Nations special rapporteurs and the vice chairperson of a group on arbitrary detention have written to the Indian government expressing concern about the National Register of Citizens in Assam. They said they were “particularly concerned that the way in which the NRC update has been conducted potentially affects a great number of Muslims and persons of Bengali descent, as well as other minorities, who may be wrongfully excluded from the updated NRC because of their historical and continuing treatment as foreigners and illegal immigrants in Assam”. Senior Congress leader Ashok Gehlot on Monday took oath as the chief minister of Rajasthan, while Sachin Pilot was sworn in as his deputy at Albert Hall in Jaipur. 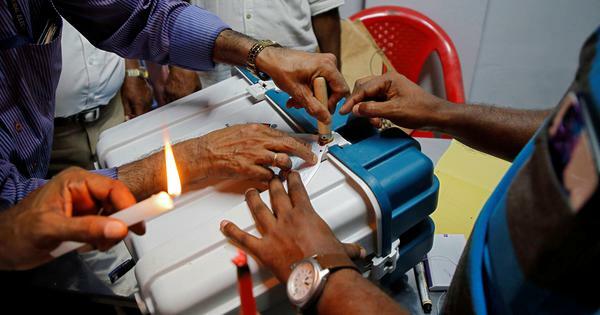 The Congress won 99 seats in the 200-member House in Rajasthan in the recently-held Assembly elections and staked claim to form the government with the support of the Bahujan Samaj Party and the Rashtriya Lok Dal. The Centre on Monday introduced the Muslim Women (Protection of Rights on Marriage) Bill, 2018 in the Lok Sabha. The bill proposes to outlaw the practice of instant triple talaq. Earlier in the day, the Lok Sabha had been adjourned till noon after a ruckus involving the treasury and Opposition benches over the Rafale deal, while the Rajya Sabha was adjourned for the fifth straight day. The National Commission for Women has found “gross violations” at 25 out of 26 government-funded short-stay homes for sexually abused or destitute women that it inspected randomly earlier this year in Karnataka, Uttar Pradesh, West Bengal and Odisha. The commission will soon extend its inquiry to all 500 such homes across the country. The Delhi High Court on Monday convicted Congress leader Sajjan Kumar in connection with a 1984 anti-Sikh riots case, ANI reported. It cancelled a lower court’s acquittal and sentenced Kumar to life imprisonment. He must surrender in court by December 31. Suspended Aam Aadmi Party leader Sukhpal Singh Khaira on Sunday launched the Punjab Democratic Alliance with Lok Insaaf Party, Bahujan Samaaj Party and another suspended AAP MP Dharamvir Gandhi. The alliance said it would contest the 2019 Lok Sabha elections and welcome “other like-minded parties” and individuals “who maintain a distance” from the Congress, the Bharatiya Janata Party and the Shiromani Akali Dal. Pakistan Prime Minister Imran Khan on Sunday condemned the deaths of seven civilians in firing by Indian security forces in Jammu and Kashmir’s Pulwama district last week. The clashes had followed a gunfight with suspected militants. Three of the militants and a soldier were killed in the gunfight. Lok Janshakti Party MP Chirag Paswan has said that he does not expect an ordinance on the construction of the Ram temple in Ayodhya as the ruling Bharatiya Janata Party had not discussed the matter with its alliance partners, reported The Indian Express on Monday. Paswan’s party is a member of the BJP-led National Democratic Alliance. The Congress chief minister-designates of three states are set to take oath of office on Monday. Ashok Gehlot and Sachin Pilot will take oath as chief minister and deputy chief minister of Rajasthan in Jaipur at 10 am, while Kamal Nath will be sworn in at 1.30 pm in Bhopal, followed by Bhupesh Baghel in Chhattisgarh’s Raipur at 5 pm. One person was killed in Vijayawada as Cyclone Phethai made landfall in Katrenikona in Andhra Pradesh’s East Godavari district a little after noon on Monday, multiple reports said. The cyclone hit the area at 12.17 pm. Heavy rains lashed Katrnikona, Allavaram, Uppalaguptam, Rajolu, Sakhinetipalli and Amalapuram. Former Reserve Bank of India Governor Raghuram Rajan told NDTV that India should be protecting its institutions because foreign as well as domestic investors need to have faith in the rule of law. In an interview broadcast on Sunday, Rajan did not explicitly acknowledge that the institutions were under threat, but said India is in a great spot for growth and it is good that the country is engaged in a debate about protecting its institutions. Dravida Munnetra Kazhagam chief MK Stalin on Sunday proposed the name of Congress President Rahul Gandhi for the post of prime minister after the 2019 Lok Sabha elections. Stalin was speaking at the unveiling of a statue of his party’s former chief and his father M Karunanidhi in Tamil Nadu’s Chennai.